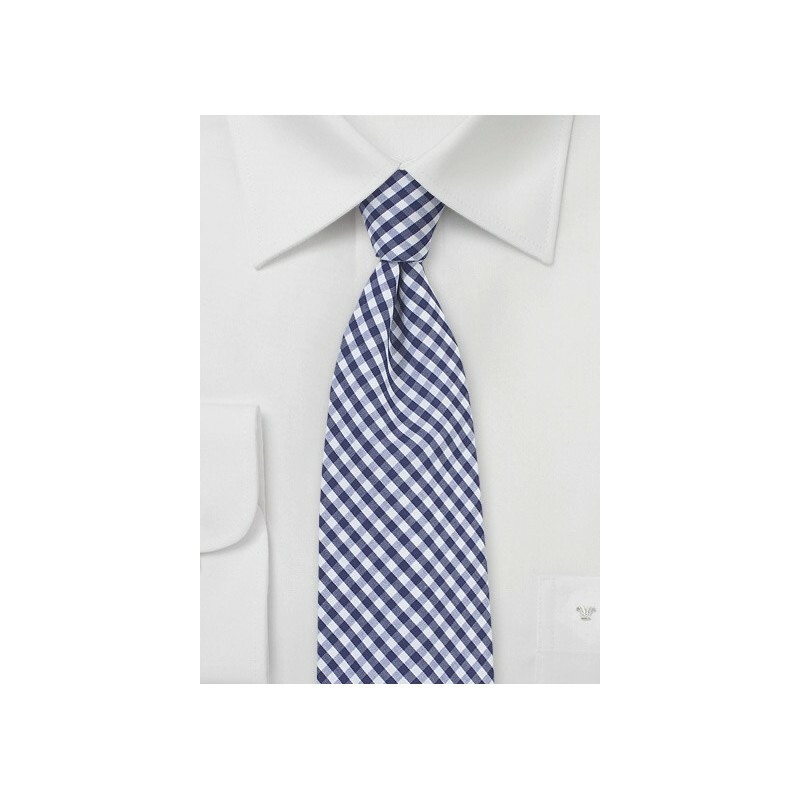 Add some charm and elegance to your summer ensembles with this dapper cotton gingham tie in navy and white. 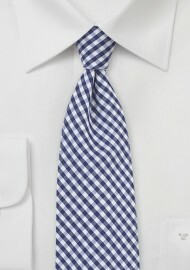 It is a tie that will look fantastic with white and light blue shirts. As for the suit, we recommend navy and gray as the best choices. Handmade using fine Cotton sourced in Como, Italy. 100% Cotton | Length: 58", Width: 3.1"